The North East Coast of Taiwan is a beautiful drive with the Pacific Ocean on one side of the road and mountains rising high above on the other. The area near the Golden Waterfall is known as Jinguashi (金瓜石) and was an important area for gold mining during the Japanese occupation. Today there isn't any more gold to be found but there are some pretty cool ruins of the abandoned gold mining factory. 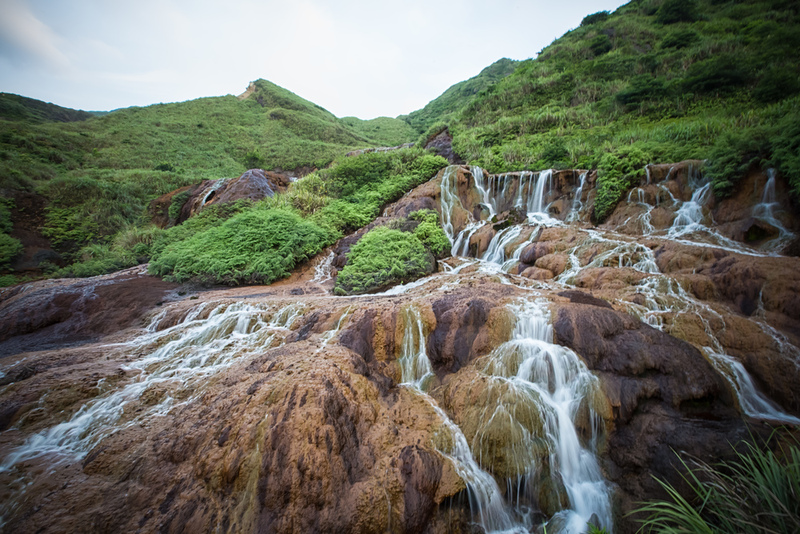 For years, people thought that the Golden Waterfall and the Yin Yang Sea that the waterfall runs off into were results of rampant pollution due to the mining activity in the area. 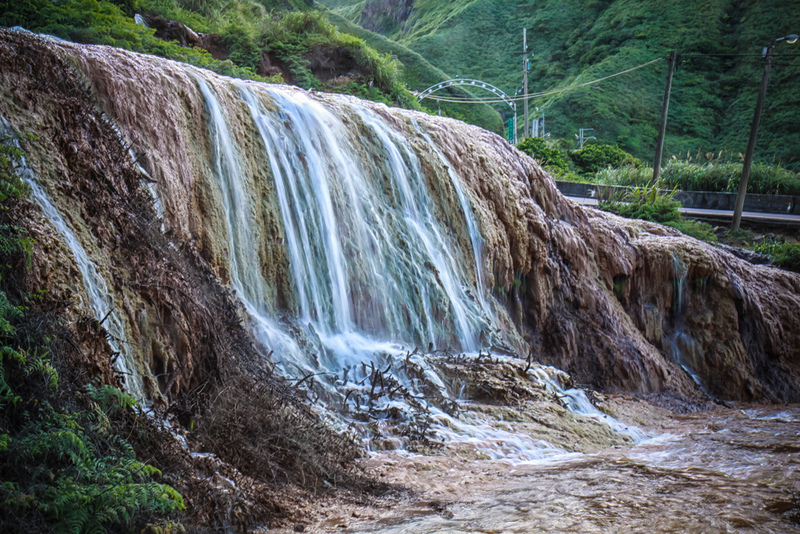 There is also a debate online within both Taiwanese and Expat circles as to whether the Golden Waterfall is actually a product of pollution and environmental degradation. I've done a bit of research into the subject from Chinese sites and it seems that within last few decades it was discovered that this phenomenon is natural to the area and it has been this way for thousands of years – long before mining started. Although I wouldn't go so far to say that the pollution caused by the mining hasn't had disastrous effects on the environment nor would I go as far to drink the water. The soil in the area is sulphurous which gives the soil the red-like colour that you see in the photos. The colour of the soil and the green mountains behind it give the waterfall it's golden colour and thus its name. The amount of water flowing from the falls varies based on recent rainfall, but the area receives quite a bit of rain, so you're not likely to see a dried up waterfall if you decide to make a visit. What you see today is a result of not only the sulphurous soil but also hundreds if not thousands of years of weathering and SCIENCE.. Although I'm completely open to debate on this one. When I first visited the waterfall years and years ago it was a lot different from what you see today. Back then you could easily climb down a small path and walk all over the place getting some really cool shots and selfies (although selfies weren't a thing at the time) of the waterfall. In the years since then however the New Taipei City government had to develop the area in order to protect the natural environment from being destroyed and for the safety of the loads of tour bus tourists (from a specific country) who have a tendency to attract certain types of completely-avoidable tragedies. Guard rails have been put up and there is now a viewing platform making it impossible to get too up close and personal with the waterfall. 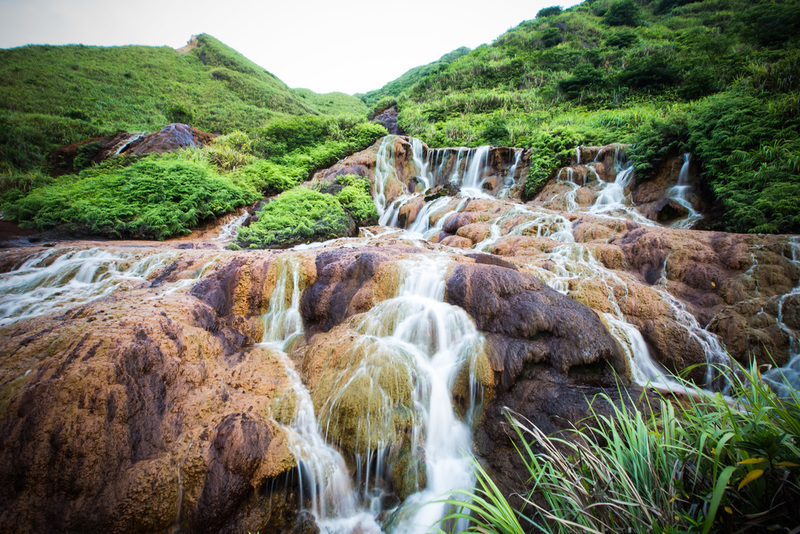 The waterfall is a short drive from either the North East Coast highway or a bus ride from Jiufen to Jinguashi. 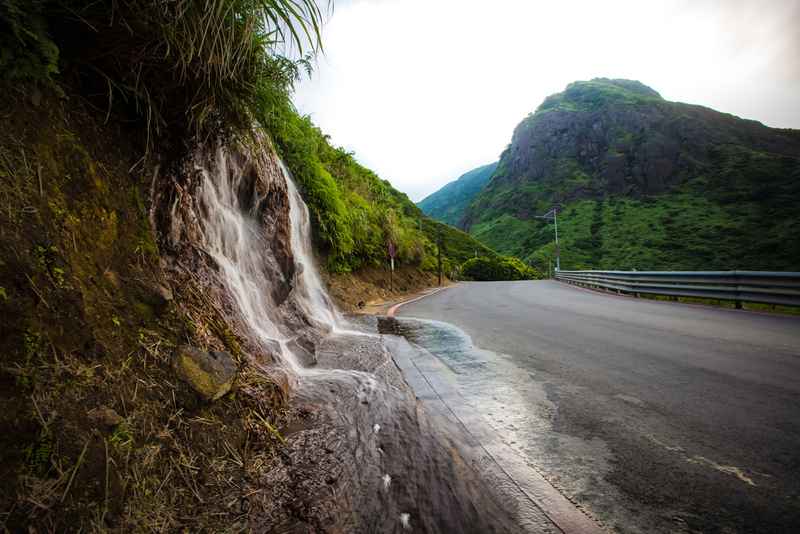 You don't need a lot of time to visit the waterfall, so if you plan on visiting, make sure you have a means of transportation to either take you back up to Jiufen or just walk back down to the highway and grab a bus back to Keelung. If you are planning a day-trip to the Gold Museum and Jiufen, make sure to include the Golden Waterfall as part of your activities. They're all relatively close and are all completely doable if you get an early enough start on the day!